As you may have guessed from the sites of my craft room, I am a borderline craft hoarder. I will confess that there are times when I walk the aisles of the craft store, see something interesting, and throw it into my cart. There are many a times I do not have a clear vision, but know it will come to me later. It wasn’t until I was making breakfast for the kids one morning before school. (TRUE STORY) I was about to throw it away, when my daughter asked if she could use it to make something. I smiled and said sure, what did she want to make. She replied that she didn’t really know, but that it looked like there could be useful. It was then that we went back and forth on what we could make out of the egg carton, that I suggested flowers. DING DING DING!!! We’re totally making a flower wreath with them. 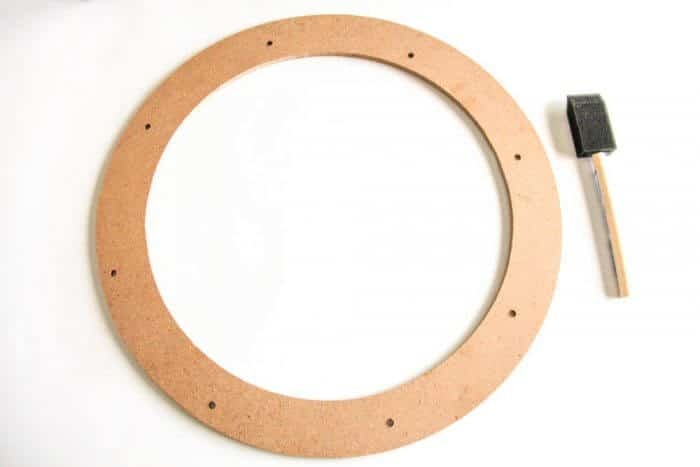 Start by painting your craft ring. I used acrylic paints, but you can use spray paint or whatever you have on hand. 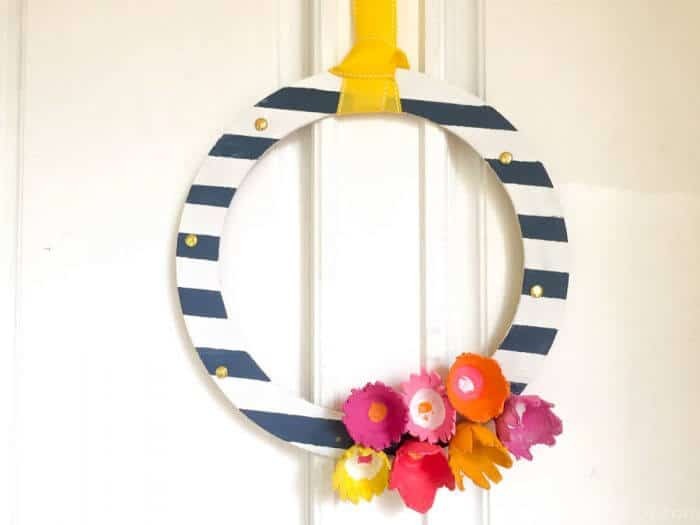 If you would like your wreath striped like mine, then using a painters tape, tape off the wreath in stripes and paint over with the second color. Once it dries, then you can remove the tape and you have yourself stripes. 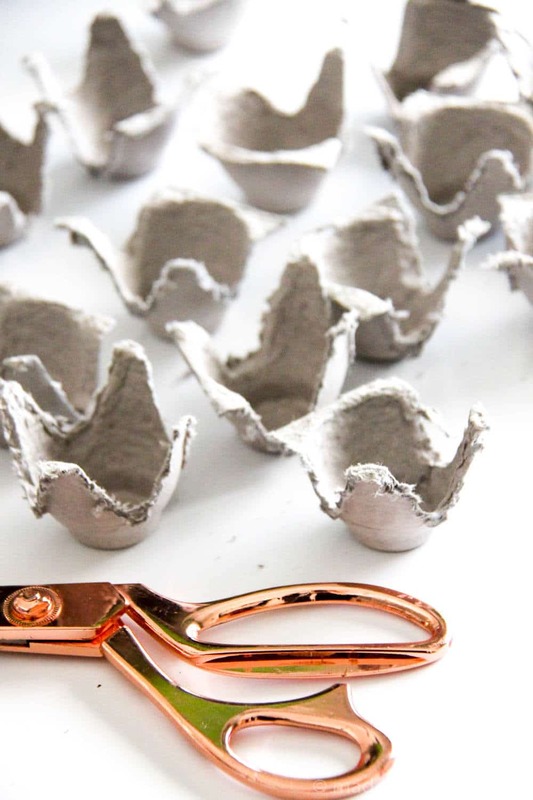 Next, cut up your egg carton cutting out each of the egg cups. 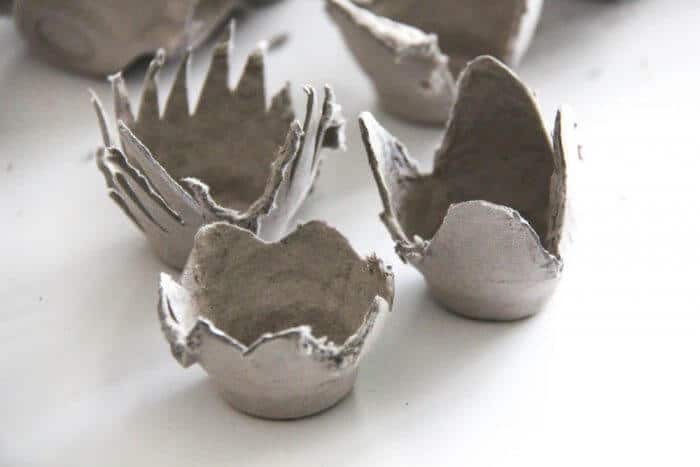 Next cut the edges of the egg cups in petal shapes. Feel free to mix it up with spikes, rounded petals, long petals, short petals, etc. 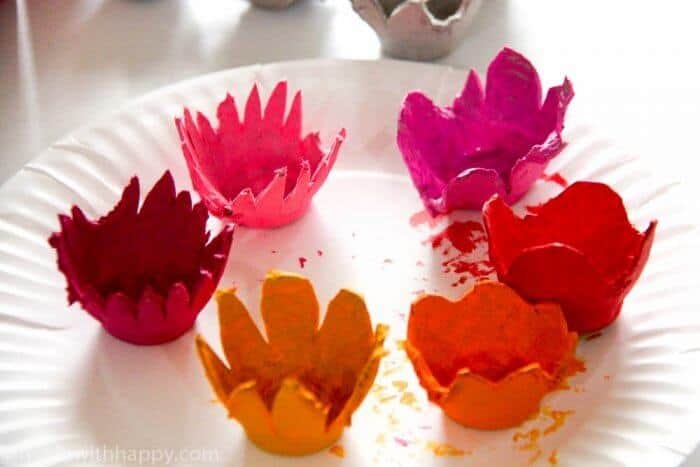 Then paint your flower cups. 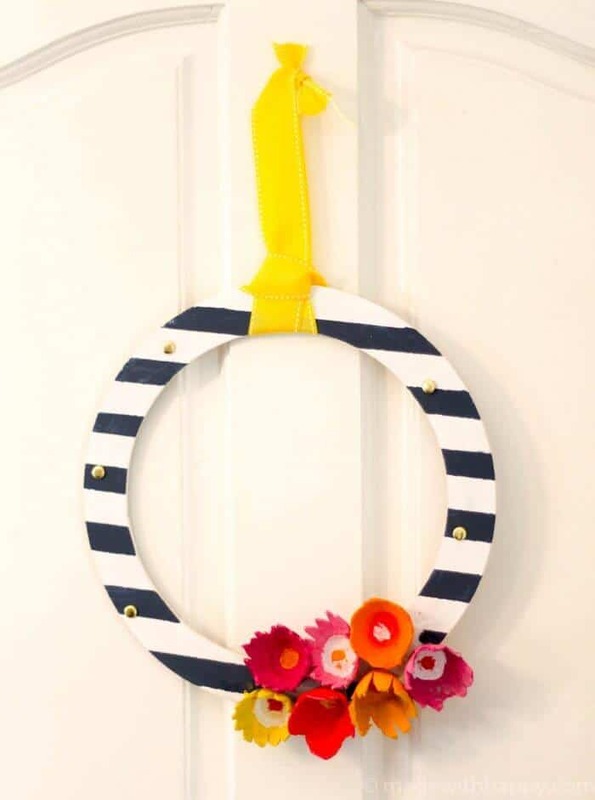 I went for the bright Summer colors, but I think they would look great in whatever color scheme you are going for. One thing to note, is that you can layer the flowers too. Meaning putting one cup inside the other to give it more dimension. I then painted a center in each of the flowers with white or another bright color. 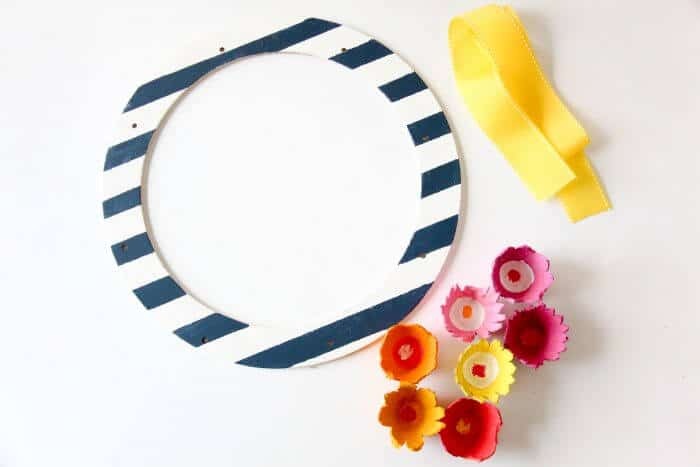 Once all the pieces are dry, glue the flowers to your wreath. 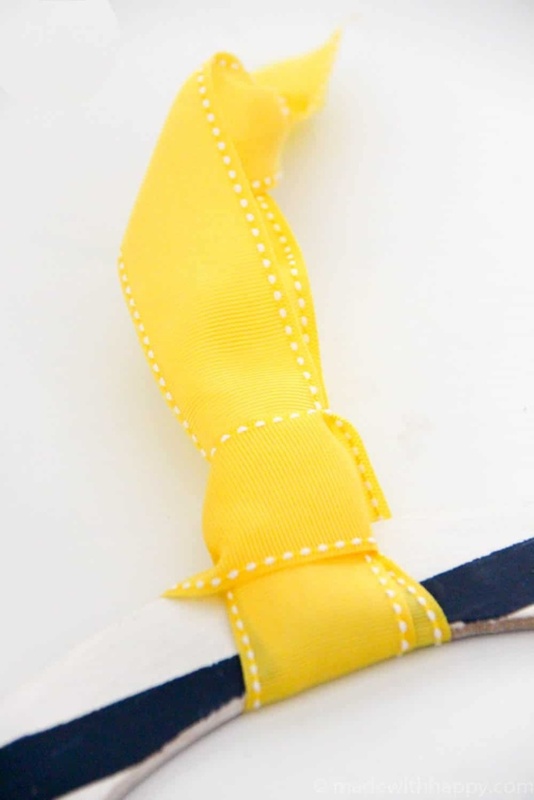 Lastly, cut your ribbon at 2 feet. Tie the ends and then wrap the know end around the wreath and through the folded end of the ribbon on the other side creating a knot to hang your wreath.